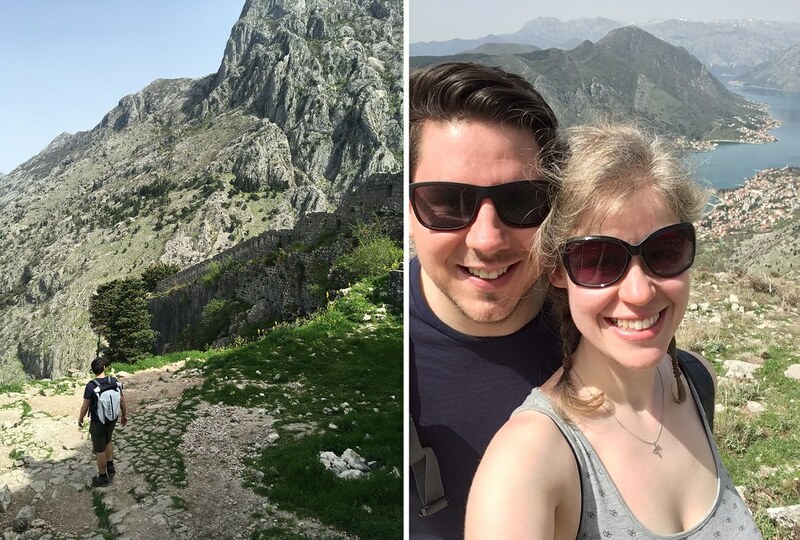 Back over Easter, my lovely partner and I headed to Montenegro for a few days to explore a little slice of this beautiful country. 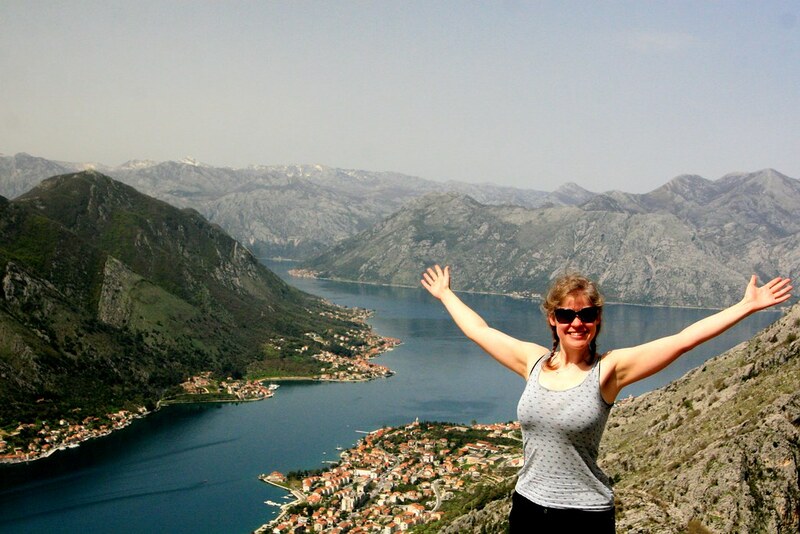 We were not disappointed: the scenery is some of the most magical I have seen anywhere in Europe, and we based ourselves in the town of Kotor to hike in the mountains and hills and enjoy the views. 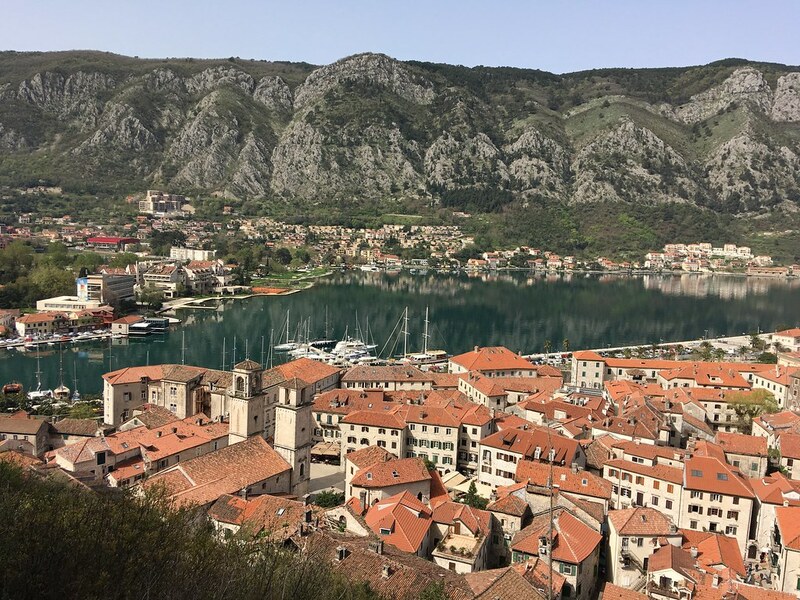 Kotor is an old town complete with its own set of ancient walls to protect it, and on one of our days, we set out to hike the route they mark out. So today, this is the story that I'm sharing from my travel journal. 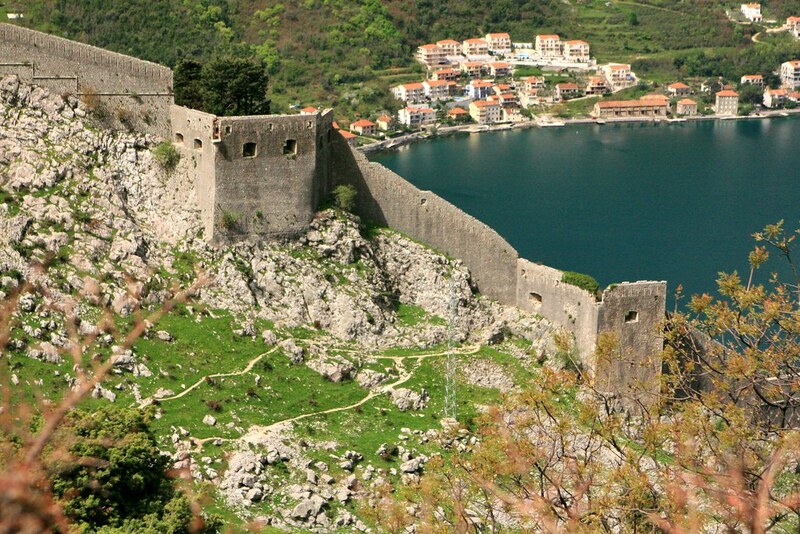 The old city walls around Kotor are, in a word, insane. They are huge for such a little place, and given that the tiny town occupies every possible iota of land down by the bay, the walls have no choice but to march up the side of the mountain. 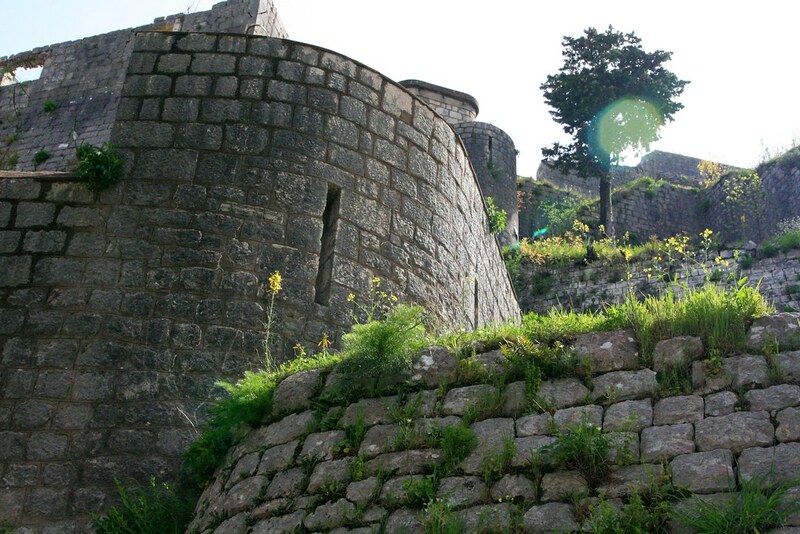 And they’re impressive walls with churches and fortresses, lit up at night and dominating the slope. You could almost be looking at the Great Wall of China. 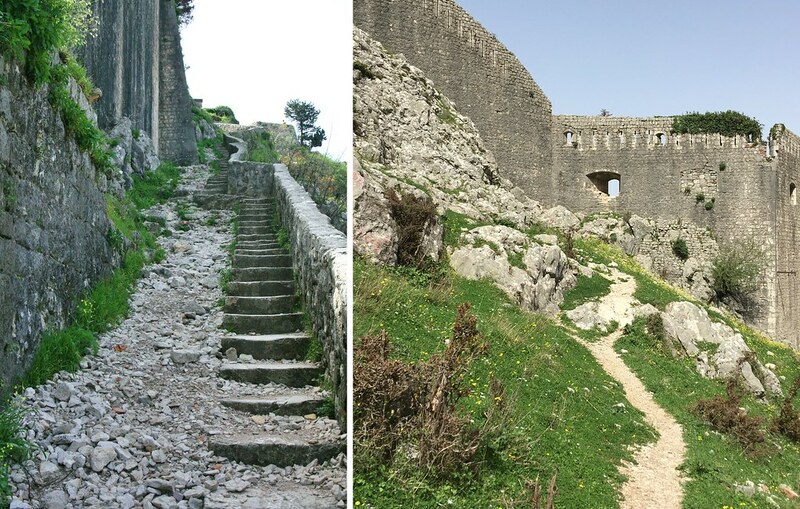 Walking the walls to the top is a climb of around 1350 steps to the fort of San Giovanni. It took us a little while to find the start of the trail, and we accidentally explored someone's garden for a brief period as the walk isn't really indicated or signposted. But we managed eventually, with a little help from fabulous app maps.me and our adventure began. The narrow steps were a little uneven and a bit crumbly, but well worth the climb as the views started to drop away below us. There were very few people around and the sunlight filtered down into the valley, sparkling on the very blue water of the not-technically-a-fjord below. We stopped for a little break and some water part way up, meeting a couple of cats enjoying sprawling in the sunshine. It was quiet as the holiday season hadn't really started, and therefore we avoided paying the small fee that usually accompanies climbing the walls during the summer. We made it to the fort more quickly than we expected; it was an energetic climb but very doable. 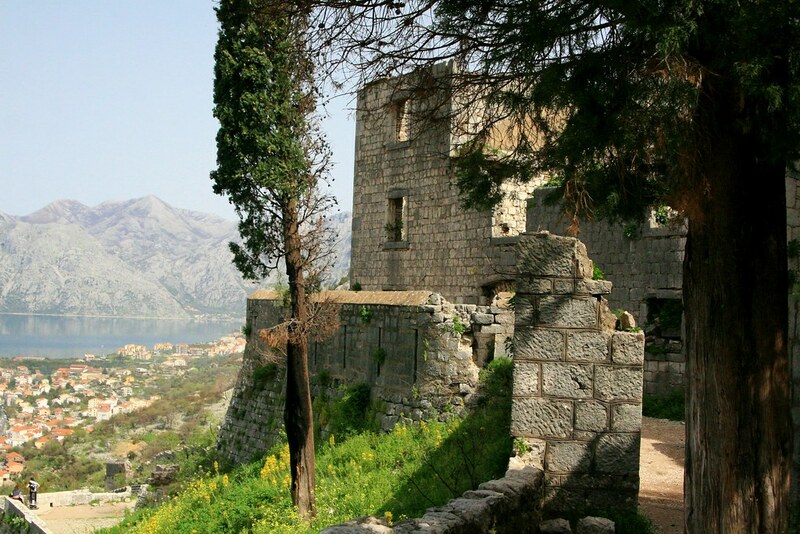 Having explored the ruins, teetering across a creaking bridge and peering into dilapidated rooms, we hunted for the path to continue up the mountain beyond. And we couldn’t find it. Eventually, Pete claimed we had to climb through a window in the walls, scramble down the rocks on the other side and go from there. I disagreed vehemently until I concluded that he was correct. And there indeed was the path. 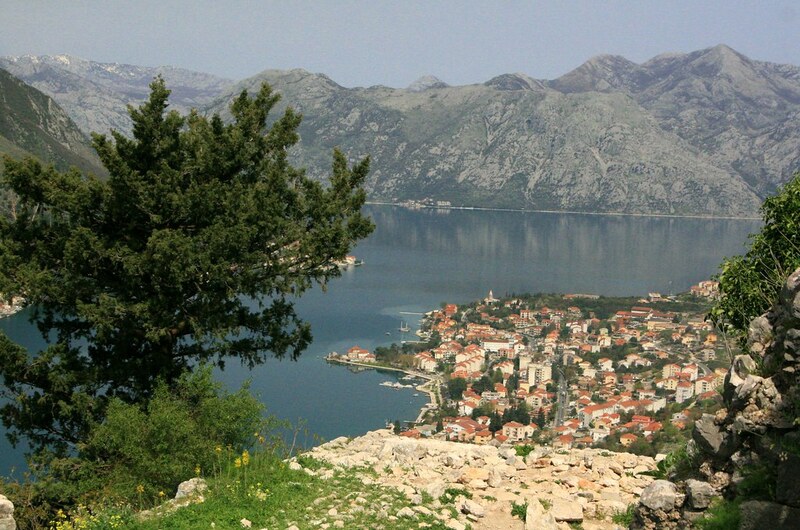 We climbed the mountain in a series of hairpin switchbacks going high let and higher. 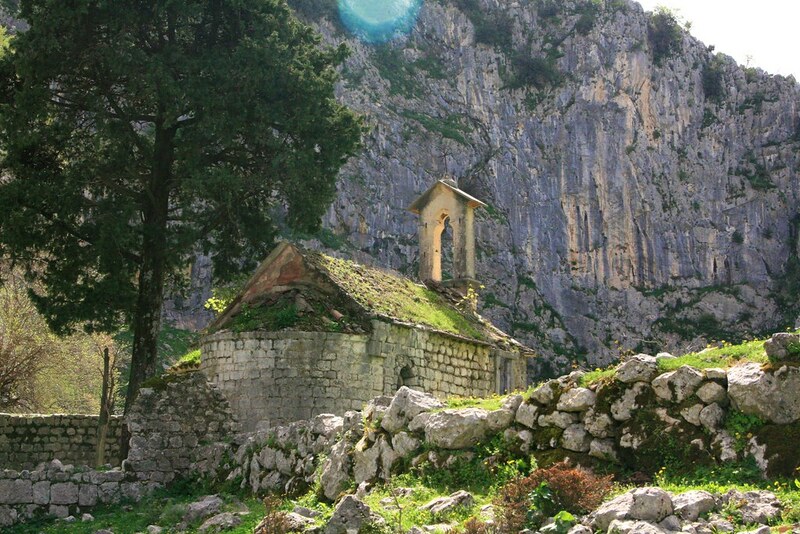 We visited a beautiful little old church, we overtaken by mountain goats, stopped for an apple break and kept on climbing, higher and higher in the sunshine, not meeting a soul. It was hard work: as we got further up the mountain, we had to pause more regularly in our climb. But my goodness it was worth it! 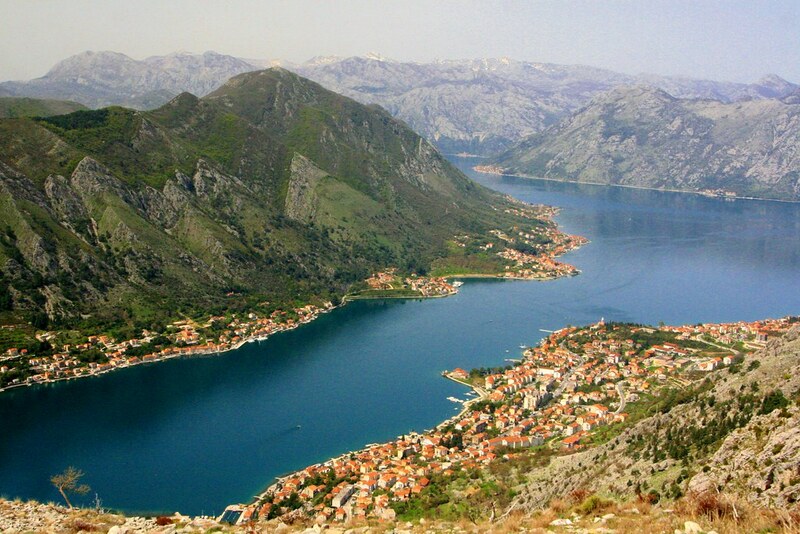 The views were amazing and we sat at the top of the mountain, having our picnic lunch and gazing down over Kotor. The city walls which had once seemed huge now seemed small and diminished as we looked down on them from above. 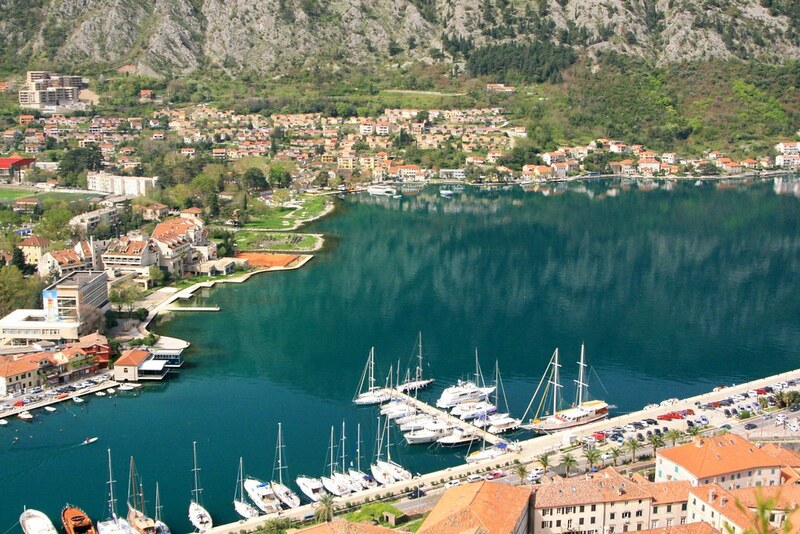 Each day in Montenegro we packed ourselves a little picnic lunch: cheese sandwich for me, cheese and salami for him and each morning he would make the sandwiches while I sorted out the water bottles and so on. And each day, we had a packet of crisps, selected for amusement value from a supermarket in a language unknown to us. Clipsy for me: crisps for children in weird shapes, such as chicken-flavour drumstick-shaped “Chicken Drums” or sour cream tornados. YUM! And he had sensible crisps in various flavours. But there was a silent, unspoken agreement that whenever we stopped for lunch, be it at the top of a mountain, a beautiful lakeside or perched on the boot of the car, we would peel apart our sandwiches, add the crisps, and then crunch away in glee. Is there anything as deliciously decadent and childlike and perfectly a-little-bit-naughty as a crisp sandwich? It made for a holiday treat every day; a trip highlight for us both, naturally. 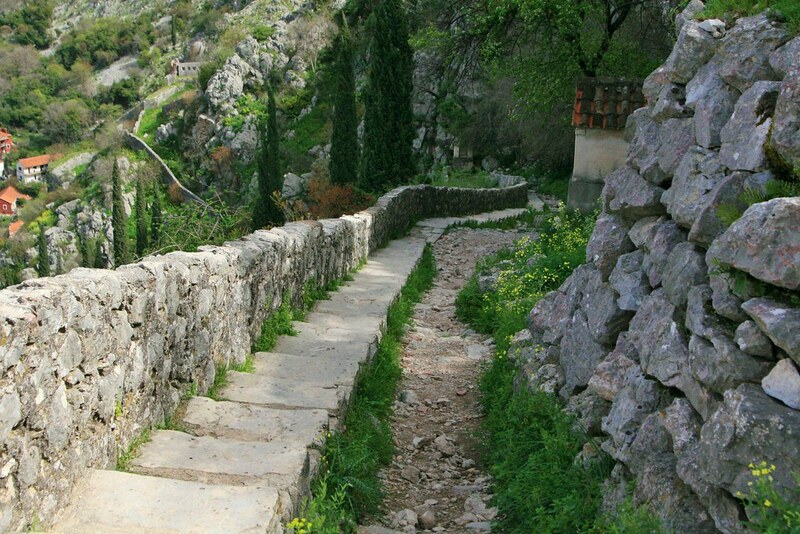 The walk down was much quicker, wandering the switchbacks backwards and forwards all the way back down to the bay. And into the shop for a much deserved ice cream. P.S. This blog post is part of my November travel series; I'm spending the month documenting some of the trips I've taken this year, sharing extracts from my travel journal and my photos. My aim is to do this for each day in November as a personal challenge, to get photos and words put together and record some of my favourite experiences from the year. As the weather turns chilly, it's a lovely feeling to curl up in doors and reminisce about travels past, and plot travels for the future.